Celebration of the Christmas holiday includes a rich musical tradition. 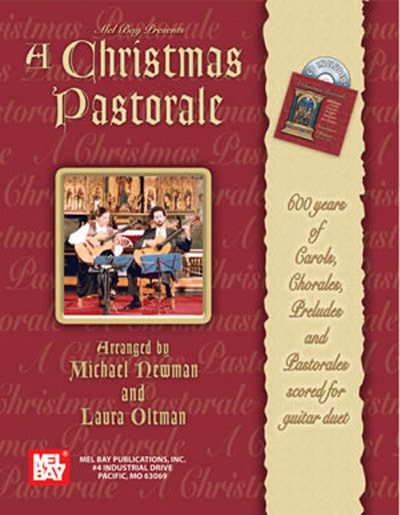 For this score and accompanying CD, the internationally-renowned Newman & Oltman Guitar Duo presents a ravishing collection of sacred music written for Advent, Christmas, and Epiphany. The duo has chosen music from six centuries in a wide variety of musical styles, including familiar Christmas tunes, little-known gems, and interesting variations on familiar themes written by such composers as Bach, Handel, Pachelbel, Mendelssohn, and Brahms. Selections range from beautiful Renaissance tunes suitable for beginning guitarists to concert repertoire for advanced players.